His moves before the Panthers v. Giants game left many people laughing and others scratching their heads. It’s quite unusual to see a 6’0”, 194lb. wide receiver practicing pirouettes and pliés before a football game, so I have no issue with the amusement and bewilderment. What I’m a bit concerned about is Norman’s association of Beckham Jr.’s moves with what kind of player Beckham Jr. actually is. The first thing that popped in my mind when I read the quote was, “So whatchu tryna say, Josh? !” Now, I understand that taking words out of context is a pretty amateur move for a writer. So before I analyze the possibility of what Norman meant when he said that prancing around like a ballerina showed what kind of player Beckham Jr. is; I’ll make sure we’re all clear on the context of his words. Norman was speaking to reporters after the Panthers 38-35 win over the Giants. Throughout the hard fought game, Norman and OBJ exchanged words and personal fouls. They displayed a sportsmanship that teetered back and forth between genuine, respectable gridiron competition and low-character, dirty playing. Of particular concern for many and what most likely prompted the ballerina comments was a helmet-to-helmet blow that Beckham Jr. inflicted on Norman after a play had already ended*. The hit was intentional, dangerous and completely out of line. So it’s safe to say that Norman didn’t intend for any of his descriptors to be compliments to Beckham Jr. Most if not all of what Norman said during postgame interviews and conversations was to meant to paint Beckham Jr. in a negative light; and rightfully so. I can only imagine what I’d have to say if a competitor intentionally tried to send me into concussion land. While there are many, many successful and talented male ballet dancers, ballet is very much associated with girls and women. In fact, I bet most of you didn’t even know that the name for a male ballet dancer was ballerino. Perhaps Norman was saying that Beckham Jr. was acting like a tutu-wearing woman, a descriptor so far removed from the face of the NFL that it’s laughable. Since society too commonly associates ballet with females, there is also an assumption that boys and men who perform ballet are homosexual or (at the very least) overly feminine. So maybe Norman was calling Beckham Jr. gay or feminine, neither of which was meant to be a compliment in a culture that praises machoism and has had its share of homophobic incidents. Beyond Beckham Jr.’s sexuality, Norman could have also been providing commentary on Beckham Jr.’s athleticism and talent. Since of course ballet is just frilly dancing for women, Norman could have been calling OBJ soft, untalented and ill-equipped for football. The comments could have been a suggestion that if someone were a ballerina they could never have the athleticism needed to be a successful basketball. Only someone as incompetent as a ballerina would resort to dirty plays to find a competitive edge. Finally, Norman could have been insulting Beckham Jr.’s personality. Because ballet is only for women, Norman may have been saying that OBJ’s dance moves are clear proof of his weirdness. Only an unusual man could find appreciation for ballet and be willing to display ballet-esque moves in public. In a sport filled with strong, adrenaline-filled men, a man that acts like a ballerina just isn’t cool or acceptable. No matter which of these Norman meant, they’re all complete insults to ballerinas and ballerinos. His comments amount to a misguided, unintellectual, noncreative attempt to insult a competitor. In trying to call OBJ a weird, girly football player, Norman insulted ballerinas and showed how much he really needs to work on his trash talk. Ballerinas are amazing women who practice an art-form that dates back to the 15th and 16th century. That’s right ballet has several centuries of existence and respect on football. There is nothing soft or frilly about ballerinas. They are strong, incredibly athletic, talented and disciplined. Their physiques show power, strength and grace. Just take a look at Stella Abrera, Misty Copeland and Diana Vishneva (pictured above). Ballerinas bodies aren’t just ripped for show, they allow them to routinely perform moves that require strength, control, balance and a high level of discipline. I’d venture to say that these are some of the same words used to describe what it is that many football players do day-in-and-day-out. Ballerinas also aren’t weird. They are some of the coolest, most well-rounded and well-traveled athletes to compete. They even get endorsement deals from the likes of Under Armor, so some dancers might actually be higher on the cool scale that Norman or OBJ. And finally, while ballerinas are females, ballet isn’t just for women or gay men. 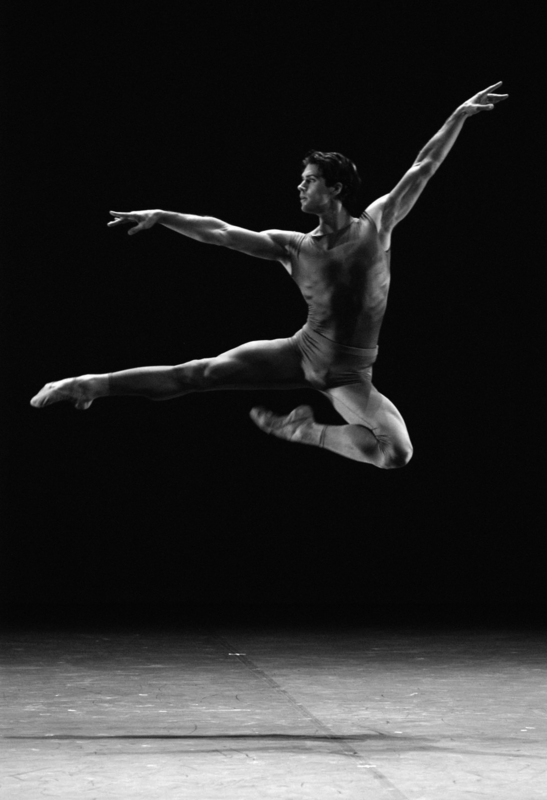 The choreography of the ballet calls for male participation on a regular basis. It requires strong, skilled, disciplined and talented men and has absolutely no respect of sexual preference. Ballerinos wear tights while lifting, throwing, hugging, spinning and even kissing women at work. Football players on the other hand, throw on tights to jump on top of, hug and toss men around. Ask yourself, which calls into question a man’s sexuality more? What Josh Norman, Odell Beckham Jr. and countless other football players do on the field is amazing, but so is what ballerinas and ballerinos do. In every sport, competitors will go at it. You aren’t supposed to be friends with people who are trying to beat you. So, there’s nothing wrong with banter between competitors. The problem with Norman’s statements is that he belittled ballerinas in an effort to belittle his competitors. He either didn’t know or refused the acknowledge the hard work, talent, discipline and skill it takes to master the ballet. Rather than be more careful with his words he chose to entangle a group of athletes in his beef that have no business being there. Hopefully next time he has a mic in front of him he’ll have a better vocabulary to express his disdain for players who make immature, dangerous, callous decisions like Beckham Jr. did; and leave the ballerinas out of it. So what do you think of Josh Norman’s comments? Did he make an unfair comparison? Share your thoughts and share this article. *Beckham Jr. has subsequently been suspended for one game for the blatant foul play. Hey did you know that Pittsburgh Steelers Hall of Fame Wide Receiver Lynn Swann took ballet to help with his football play? I had no idea! Proof that ballet isn’t just for the ladies. Thanks for the history lesson!